A comprehensive band method in 3 parts, by Bruce Pearson which combines a strong performance-centred approach with music theory, music history, ear training, listening, composition, improvisation and interdisciplinary and multicultural studies. 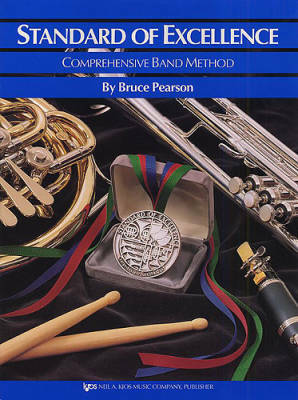 With full colour drawings and colour-coding of important text the series helps to motivate and inform, across the full range of band instruments. Includes sections on individual, sectional and full band playing.